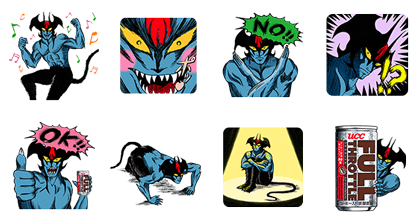 http://www.line-stickers.com/ – Full Throttle & Devilman Line Sticker | Full Throttle and Devilman collaborative stickers descend onto LINE! Friend UCC’s official account to get them. Available till June 30, 2014. 2015 NC DINOS Special Edition Rezzo & Elisabeth Yoo In-na Hello! FriDay Shopping is coming!